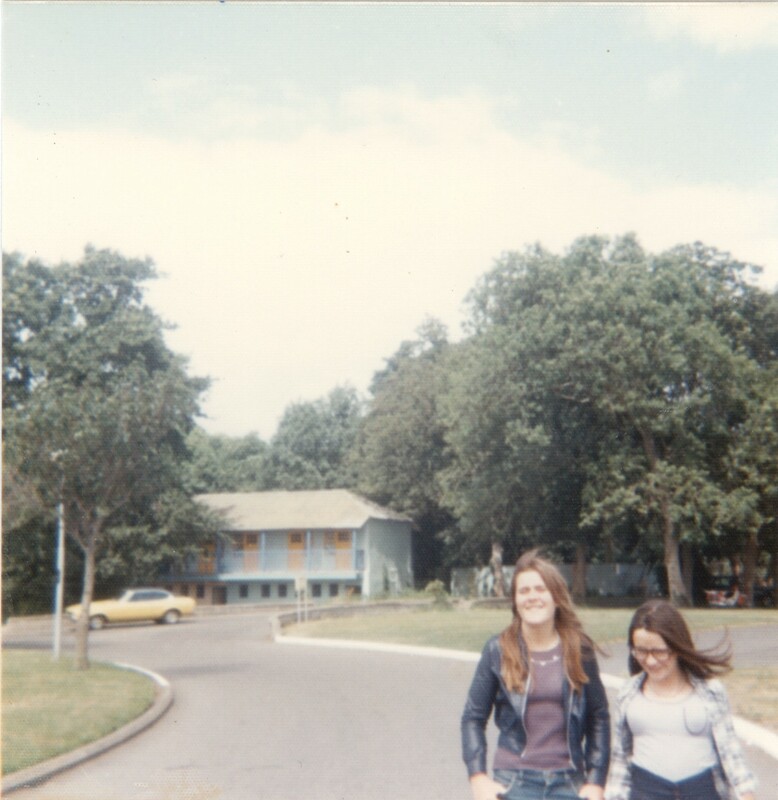 Valerie O’Connor, Butlins, c 1975? We’d go swimming (at which neither of us were proficient; our experience to date being battling the elements at Seapoint, Blackrock or Dun Laoghaire baths, floundering amongst the waves) and try to find something to do in-between. 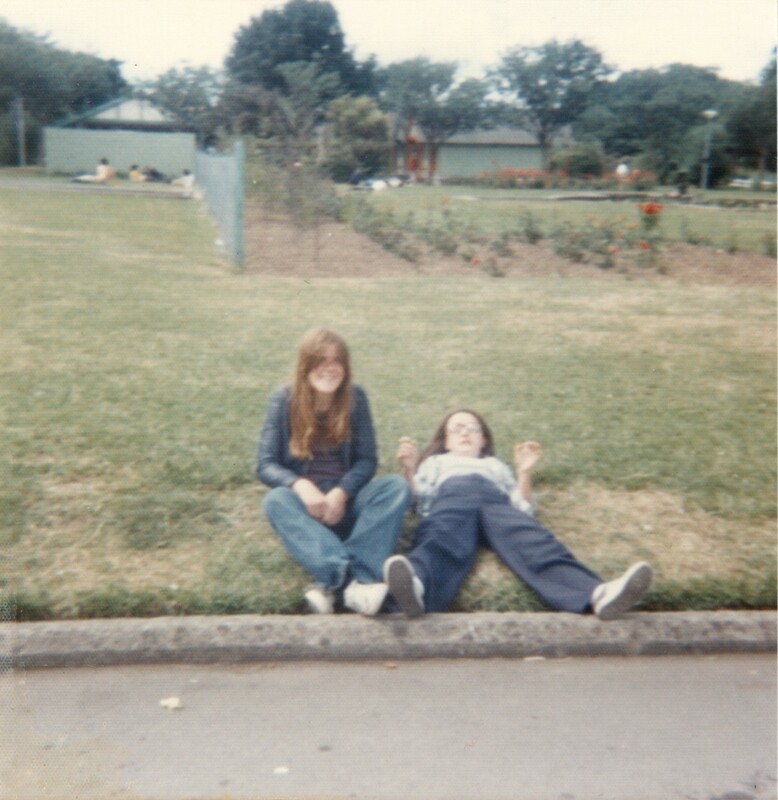 Our summers in Dun Laoghaire were wonderful – the People’s Park was an idyllic place to spend the day and we’d faff around enjoying the sun. We’d have no money to speak of so had to entertain ourselves. 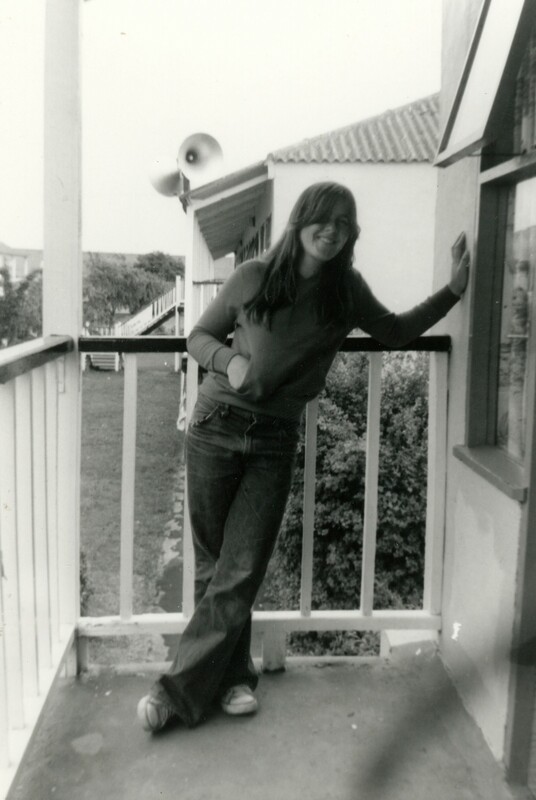 Valerie was the coolest of us all – always quiet and softly-spoken, she emanated a casual and laid-back persona which belied the complex sensitive person I now know her to be. There was a bunch of us: me, Val O’Connor, Anne Healy, Siobhan Piggot and Valerie Flynn. We’d go to Siobhan’s house to practice our jiving – which became quite intricate – because they had a conservatory which we could use as our dancefloor, and her dad Ernie was always kind and sweet, and would set up the music system. Then we’d go to Pres (Presentation College) in Glasthule and jive our Levi-clad asses off. Siobhan is a tall girl and, when she’d ‘push’ you during a dance, you knew you’d been pushed. I landed in a guy’s lap once in ‘Pres’ – which, while fun for me, may have been a painful experience for him – thanks to Siobhan’s enthusiastic style. Val was the quiet one, and yet she could cut a person down to size with a look: she’d lower her head, look through her fringe, widen those huge green/blue eyes – with impossibly long lashes – and you’d be quelled. Anne and I were the ‘smart-asses’; Valerie Flynn the effervescent and impervious one, and Siobhan a bit of a statuesque ice-maiden. Anne had an insouciant charm: witty and blasé beyond her years, she was humorous, rather unpredictable and likely to kick over the traces given half a chance. Valerie Flynn, with her beautiful freckles and pert features, was innocent and trusting. Siobhan… well, got the feeling she wasn’t happy to live on a council estate – a bit beneath her… and yet we all got on very well, and had many good times. However, Val is still a source of inspiration and strength. I’ve never known a woman who can rationalise a situation so intuitively, or bring solace to a hurt heart. She’s my best friend and I love her dearly.